IBEW Member Recounts Fight for Civil/Worker’s Rights in Miss. For IBEW member Charles Horhn, the fight for civil rights, voters’ rights and workers’ rights are one. In honor of black history month, he told his story to the AFL-CIO blog. 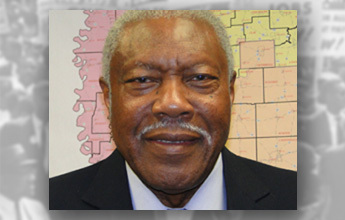 He served as business manager of the now-defunct Local 2262 in Jackson, Miss., for over 20 years, organizing manufacturing workers in a state where anti-unionism is a deeply bred part of the political culture and fighting on-the-job discrimination in one of the last holdouts of the Jim Crow South. Before becoming an IBEW member, he earned his activist chops in the civil rights movement. Horhn marched with Martin Luther King Jr. in 1966 when the civil rights leader came to Mississippi for the March Against Fear and worked with the state AFL-CIO and NAACP to register voters. Back when Horhn began his advocacy, only 6.7 percent of people of color in Mississippi were registered to vote and faced intimidation and violence when they tried to exercise their right to vote. Empowered by the Civil Rights Act, Horhn was able to dispel fear and help register more and more people to vote, working with local congregations to provide transportation to make registration and voting easier. Decades of hard work paid off when enough representatives were elected to the Mississippi state legislature to overturn antiquated and discriminatory voting laws, such as the poll tax, and create a voter registration by mail system—a huge victory. Today he is active in the fight against new voting restrictions being implemented in Mississippi and elsewhere. "It's a terrible situation," Horhn told the Electrical Worker in 2012 when asked how he felt about states enacting requirements making it harder for citizens to vote. Click here to listen to Horhn's story. IBEW Electrical Workers link below .